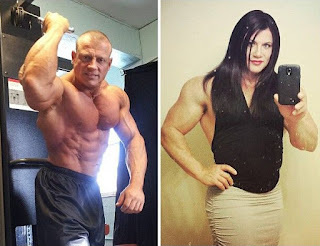 The former world champion bodybuilder and open bisexual people's identity According to when a woman, want to meet bisexual people. 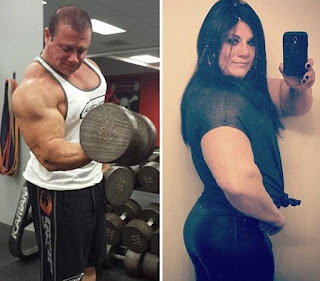 According to England "daily mail" reported on July 29, recently, is a former world champion bodybuilder and navy officials of the U.S. men publicly announced he was both men's and women's characteristics of transgender, she thinks she prefer to female roles, and changed its name to Janae Marie Kroc. According to the report, 42, janae or weightlifting record holder, strong and handsome body with men. She said in an interview, "I'm a bisexual, I want to meet bisexual people, my heart at the same time, there lived a man and a woman, I often find it difficult to make them coexist peacefully. If you choose, I prefer to women." Janae believes that her gender is not important, what is important is insist on her own. While facing the outside world have questioned whether she has modified, janae says she will wait for her three sons after graduating from high school and then to surgery. The background of three sons are all very support her decision, give her a great encouragement and confidence. Janae to share their stories on the Internet, many netizens have also expressed support, think her sincerity and courage for other transgender model of insist on self.